How about a little spring cleaning challenge? 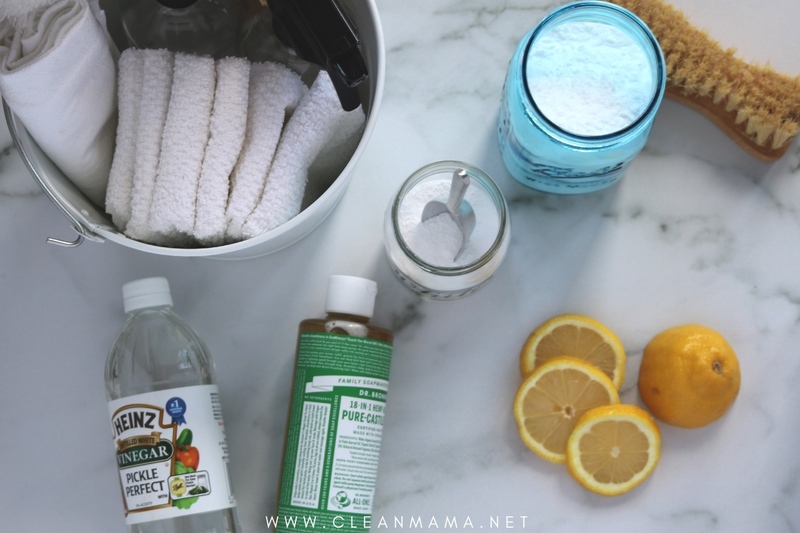 I’ve been doing some type of a spring cleaning challenge here on Clean Mama since 2011. This year has been a little different with the release of my new book, Clean Mama’s Guide to a Healthy Home (you grabbed it right?) and just not being ready to really tackle spring cleaning in our home. So I waited for the urge to hit and it has! I’m ready to open the windows and clear the cobwebs and get the house ready for spring and summer and I was hoping you might want to join me. Please? Cleaning is always a little more fun when you know someone is cleaning right along with you, isn’t it? Want to join me? Here’s how it’s going to work…. Follow along on Instagram to join in on the clean-with-me fun! 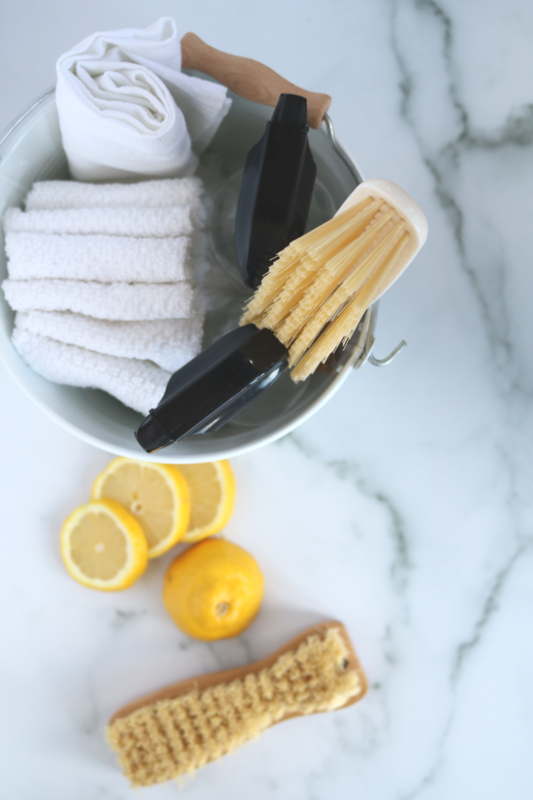 Head to this post for The Complete Guide to Spring Cleaning – you’ll find that it rounds up all of my best spring cleaning tasks and tips. 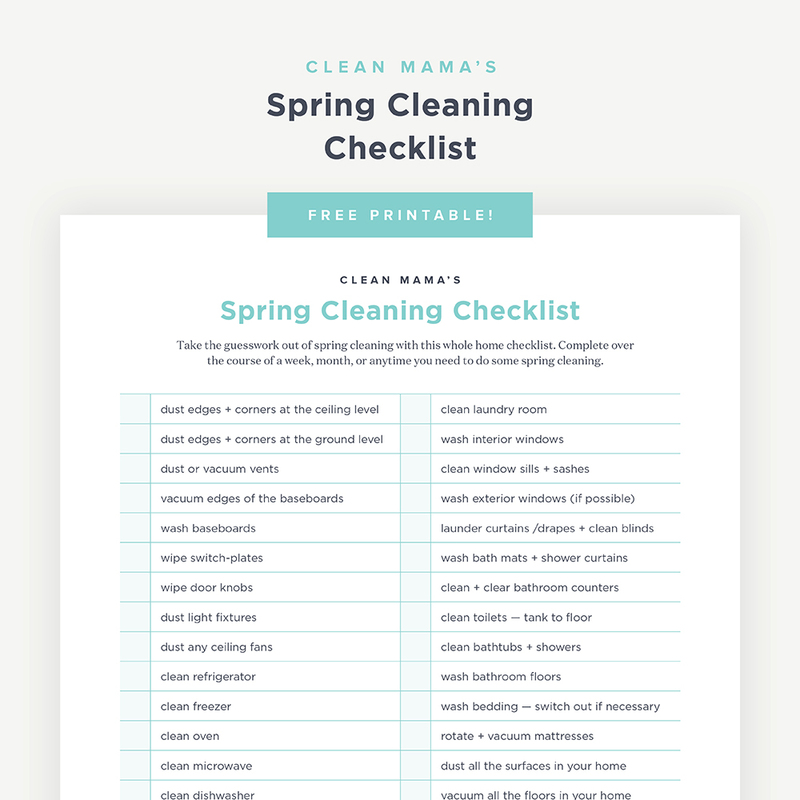 Grab the FREE Spring Cleaning Checklist to help you get started – you’ll see a fresh look on my Free Printables page – I can’t wait to share all the new printables over the next week or so. Once you have your list, take a walk through your home and assess what needs to be done. I’m going to do a handful of spring cleaning tasks, but not everything – even if you just do one or two tasks you’re spring cleaning! 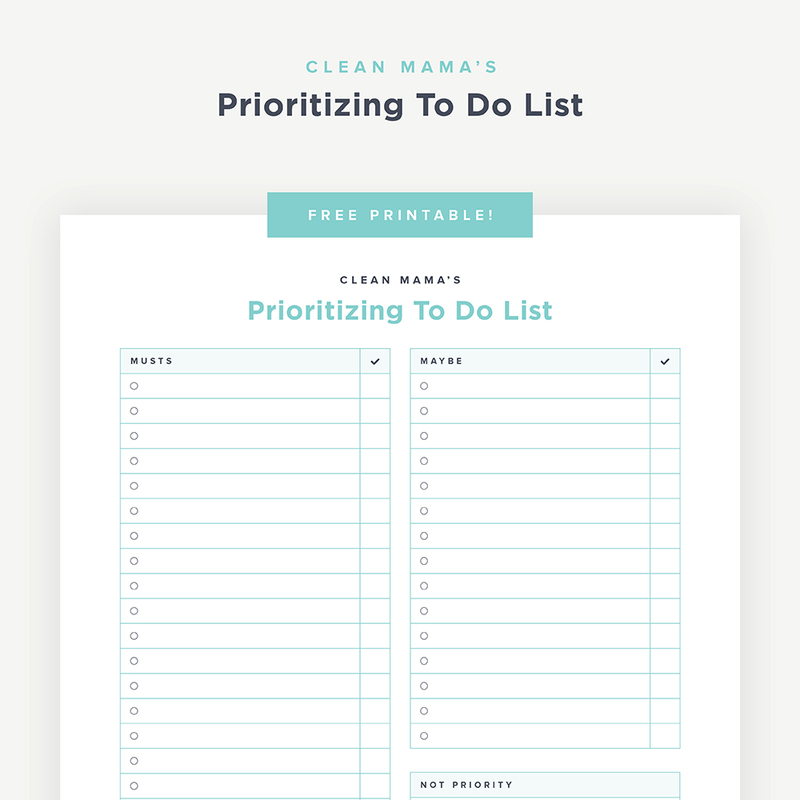 You can go through the entire Spring Cleaning Checklist or grab the Prioritizing To-Do List from the Free Printables page to help you prioritize your spring cleaning. Make sure you are getting my emails – sign up here. Ask your friends to join in too by sharing this post and an image from it to your Instagram account. Want a more comprehensive spring cleaning guide? 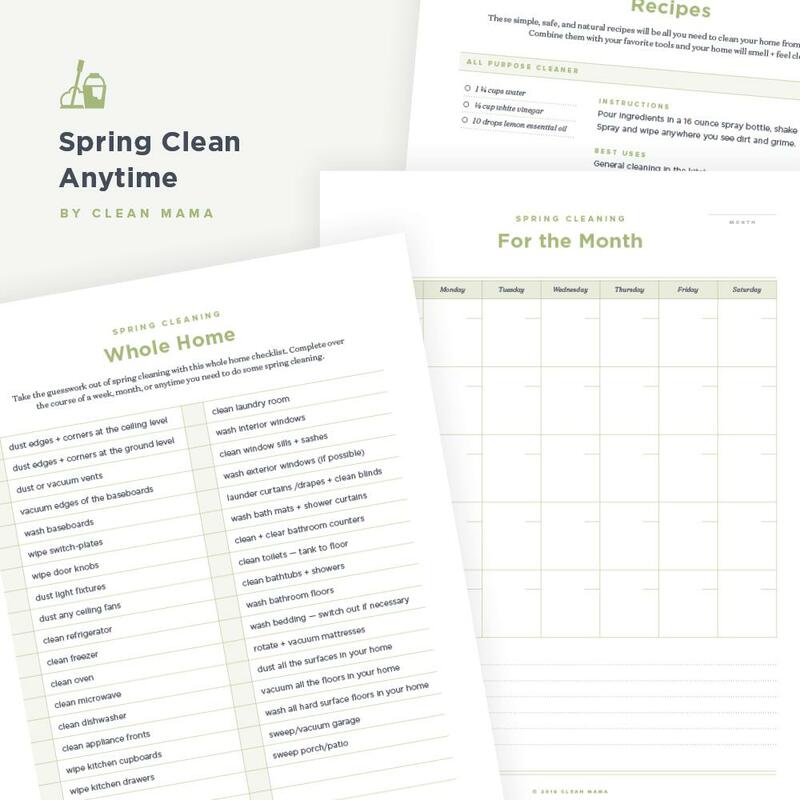 Grab my brand-new printable kit Spring Clean Anytime for 50% off through April 20th. Monday (4/15) at 10am CST I’ll be going live to answer questions from you. If you’re at work and can’t be there for the live it’ll be up for 24 hours and I’ll save it too. Monday-Friday (4/15-4/19) I’ll be sharing what I’m working on for Spring Cleaning in my own home. All week long I’d love it if you share what you’re doing in your home and TAG ME @cleanmama with the hashtag #cleanmama so I can re-share on my account too. 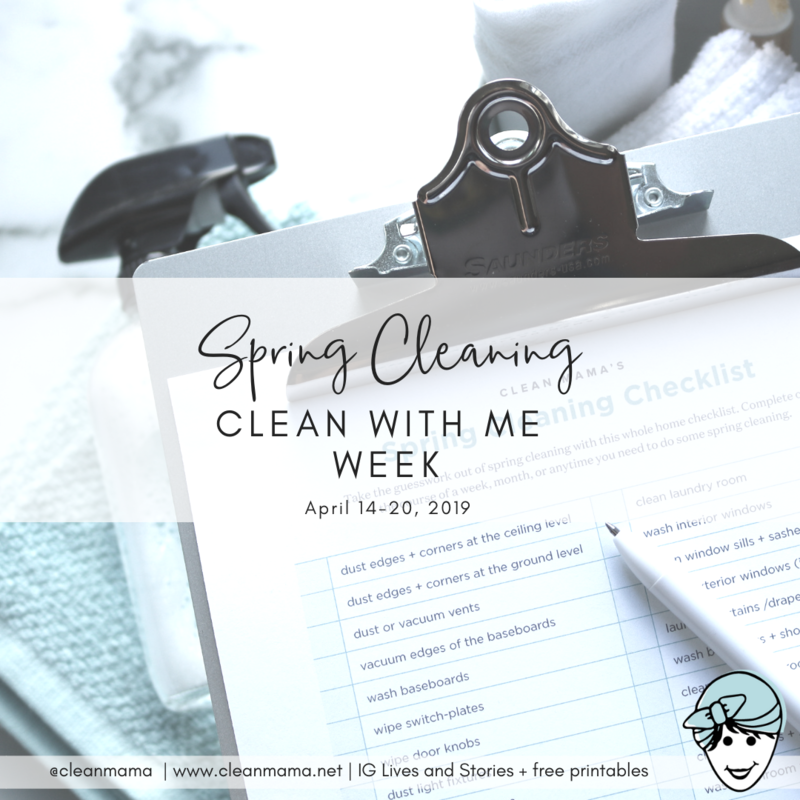 What will you get by taking on the Spring Cleaning – Clean with Me Challenge? A spring cleaned house in a hurry! Free printables to get you started. Live tips and tricks to inspire and help you know what to clean and how to clean it. I can’t wait – thank YOU for joining me!